Then, it should be reason enough for you to stop cleaning with traditional chemical cleaning agents and take advantage of the health benefits brought by alternative cleaning methods like steam cleaning. With steam cleaning, you won’t have to settle for “just clean,” and it can also help keep your home healthy, and eco-friendly. Unlike conventional cleaning methods, steam cleaning works by turning tap water into a cleaning agent. It uses high-temperature steam vapor to not only clean but to also sanitize and sterilize surfaces. This method of cleaning penetrates every nook and cranny that chemical cleaning agents and scrubbing can’t reach. Usually, cleaning will involve plenty of chemicals. Whether you use a bleach cleaner to sanitize kitchen countertops or squirt a toilet bowl cleaner – you’re exposing your home to a lot of toxic chemicals. More than posing health risks to you and your family, common household cleaners are also bad for the environment. Chemical cleaners end up being flushed or washed down the drain or sink which can then lead to them negatively impacting the water supply down the line. On the other hand, steam cleaning is the exact opposite. No bleach, ammonia, and other harmful chemicals are involved. All you will ever worry about is having tap water and being careful of not getting burned. Furthermore, since it’s not a chemical treatment, you can ensure that it’s 100% safe with children and pets around. Steam is extremely effective against bacteria, germs, and viruses. Unlike most chemical cleaners, steam can kill molds, too. Steam cleaning is the easiest way to disinfect your home that leaves only a minute of residual moisture so there’s no need to worry about mildew. According to Dr. Tanner, steam vapor is a green disinfectant. It represents a new move towards infection control that is eco-friendly, chemical-free, and highly effective. You may also use steam to get rid of bed bugs and dust mites. Because steam cleaning is penetrative, it goes right through the core of your pillows to kill dust mites. If you want to avoid using pesticides and other harmful chemicals, steam and vacuum wood treatment for pests is more effective and less costly than most chemical treatments. Another benefit of steam cleaning is that steam will evaporate almost immediately. This means you can ensure that the cleaned surfaces are dry after you clean. Both molds and dust mites thrive in humid conditions. Since you’re not using a conventional cleaning method that leaves fabrics and carpets damp, you are not creating an ideal environment for these organisms to reproduce. Using different cleaning solutions for every surface and area of your home will not be good for your wallet. Over the long term, the steam cleaning method is more cost effective than constantly having to purchase chemical products. With steam cleaning, you don’t have to buy expensive cleaning solutions as you’ll only need tap water and your steam cleaner. 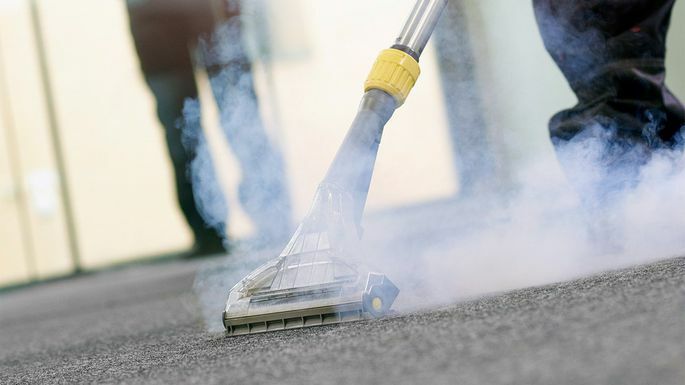 If properly maintained, your steam cleaner can last for years, making it a solid investment. But, if you choose to hire a steam cleaning service instead, you can also save yourself from the cost of investment. Having one cleaner for all makes steam cleaning a convenient option for everyone. By not being bothered by a mop bucket and getting yourself dirty as you clean, you can move and do chores more quickly. Some of the most profuse allergy triggers in a home are airborne allergens. In fact, allergens caused by the waste matter of dust mites are much worse than pollen when it comes to allergic reactions. Steam cleaning regularly can help you remove microscopic allergens for good. By eliminating allergens in early childhood, you can also prevent the onset of asthma in kids. Steam cleaning helps keep you and your family healthier by removing allergens from every corner of your home. As steam kills bacteria which produce unpleasant odors, it acts as a natural home deodorizer. If you have a pet around the house, steam can help you remove unwanted pet odors while keeping your four-legged friend happy by destroying fleas, their larva and eggs. You can also use it to deodorize bathroom areas and carpet mess. Steam cleaning gives your home a brand new, sparklingly clean look and feel. Since it uses high temperatures, it can eliminate dirt and residue buildup left behind by other cleaning methods. Steam cleaning surpasses conventional methods as it doesn’t rely on sponges or solvents that only focus on cleaning exteriors. If you want to stop using chemicals while keeping your home safe and clean, steam cleaning is your best alternative. Besides being a chemical-free solution, you’re also doing the environment a favor. Pressed for time? Consider hiring a steam cleaning service to ensure that your home gets the best and healthiest outcome from this cleaning method.